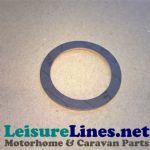 To complement our water systems expertise we also have extensive stocks of equipment for Motorhomes, Caravans, Campers, Horseboxes, Specialist Vehicles and Narrowboats. Whether you want to do a simple upgrade, a modification, repair or build your own camper we can kit you out with all you need. You can purchase our products here in this webshop, in person at our extensive warehouse in Kenilworth. We will offer you the best prices around for brand new products with all the back up, help and support you need to complete your installation. When it comes to water systems technology, you’ll find there’s no limit to our expertise and innovative capabilities. C.A.K Tanks are the UK's largest and most established providers of mobile water storage systems. C.A.K Tanks is the leader in mobile water storage systems for over 40 years. We pioneered the technology and continue to be the industry benchmark for high quality solutions. We have a proven track record as innovators, delivering value for money in high quality water systems, LED lighting, and interior living equipment. And that record continues in an evolving world of new vehicle types and changing model environments. Whatever your needs, you can trust C.A.K Tanks – both now and in the future. We’re already pioneering technology for the next generation. We are a bright an innovative company, placing emphasis on providing the right product at the right price BUT without cutting corners in customer service or quality. We operate a full warehousing and manufacturing plant in Warwickshire, and have full time telephone operators, technical support and despatch staff - ensuring all questions, enquiries and orders are processed both quickly and accurately. Over the past 48 years C.A.K Tanks have pioneered development in the mobile water storage tank market. Through a successful range of products in this sector, which have been continuously developed into today's huge range. Having developed a very good understanding of the UK market, we also have a wide range of other products which are designed to meet these demands. They range from SMEV cooking appliances, Thetford sanitation products to CBE electrical systems and much more. We have specialised for over 48 years in the manufacture & supply of water storage systems for original equipment and aftermarket installation. 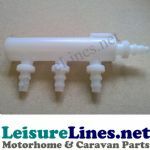 We developed the first plastic water storage tanks for Caravans, Motor-Homes and Marine applications, with our own revolutionary designs and patented Anti-Surge Baffles.